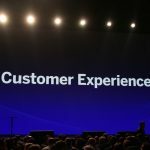 This article continues a series “Takeaways from SAP CX LIVE Barcelona”. This time I share my notes and thoughts based on the great presentation given by Axel Großmann, an enterprise architect for New Commerce Cloud. v1808 introduced a new versioning feature for SAP Commerce Cloud’s CMS capabilities. But how does it stack up against industry leading CMS solutions? We asked one of EPAM’s leading CMS experts to weigh in. Last week concluded SAP Customer Experience Live, a gathering of bright minds and change-makers working in the field of customer-facing solutions powered by SAP. For those of you who didn’t make it to the annual event in Barcelona, I’ve pulled together a few takeaways. 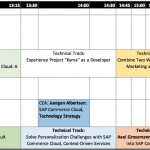 We’re several weeks away from the SAP CX LIVE, the main SAP Customer Experience event. It’s time to plan your agenda. There are about 350 sessions in two days and all had merit. In this article, I highlighted some of the sessions I’m most looking forward to. Visual search is one of the latest breakthroughs. It is truly making a mark, especially in the eCommerce arena. In 2017, Pinterest launched a visual discovery tool. Ebay launched image search capabilities for mobile devices. 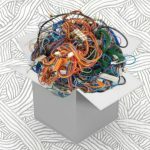 These systems use AI and machine learning, that makes this approach too complex for the simple task of grouping products by color. 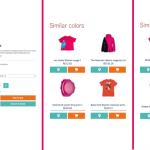 In this article, I explain the basic solution for the Visual Search, and the details on how to integrate it with SAP Commerce Cloud / SAP Hybris Commerce. You will see how image similarity can be used for product recommendations, such as “similar color products” and “similar shape products”, as well as displaying products whose images are similar to the uploaded one. 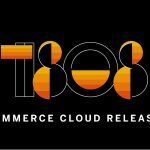 SAP Commerce Cloud 1808 (Hybris Commerce 6.8) is released. What’s new? SAP introduced a new version of SAP Commerce Cloud (previously SAP Hybris Commerce). In this article, I explain the key changes, improvements and enhancements announced by SAP. The article is based on the official release notes and videos as well as a bit of experimenting with the new version. After examination of the materials, code changes and documentation updates, I have to say that this release is just a minor update. Among the enhancements, only a few deserve to be highlighted: Integration API and, at a stretch, SmartEdit Content Versioning. Let’s have a deeper look at the new features. There is a new feature in hybris 6.6, Generic Audit. The new mechanism keeps track of modifications of attribute values of the auditable set of hybris objects. For this purpose, both the original value of the object and its new value are stored in the database for further inspection, if the needs arise. According to the documentation, you can turn on and off auditing for particular types. For frequently changed objects, there is a risk that the system may consume a lot of database space over time, and the database itself grows to a very large size over time. So if you keep auditing on, you should keep these things under control. Shortly after SAP hybris 6.6 is released I found that this mechanism doesn’t work well. Specifically, when all the audit. *.enabled=false settings are applied, there are still types that are being audited anyway. The examples are Employee, Customer and Product. Many people observed the same, and the issue was reported to SAP. The bug has already been fixed, and, as to my knowledge, SAP has released a patch. I haven’t received the patch yet. I decided to investigate the issue in detail. This article reveals the details of the problem.